First Take: IIM Indore UAE Campus. Finally, the Indian Institute of Management arrives on foreign soil! 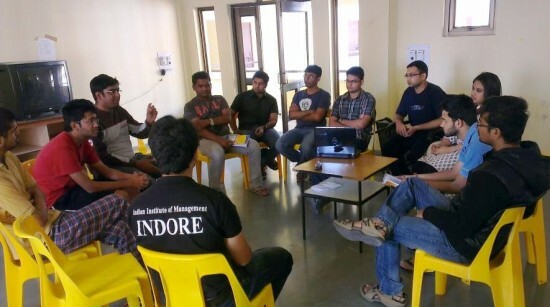 IIM Indore has already established itself amongst the top tier of B-schools in India. Now it plans to emerge as an international B school. A two year regular course in UAE is an important step in that direction. How successful this will be…only time can tell. But going by the success rate achieved in the short span of time, we might be looking at the next big thing in MBA education in India. Let us take a first look on how this new venture is unfolding…. 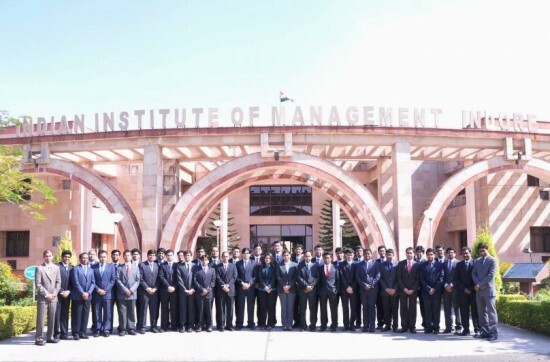 This IIM Indore initiative came up after taking into consideration the fact that the Middle East has many of the qualities that companies look for in an FDI destination: Solid fundamentals, Strong demographics, effective resource management and government willingness to improve the already concrete growth prospects. Its diverse economy is surging in many other sectors including real estate, hospitality and construction, chemicals and metals & mining. 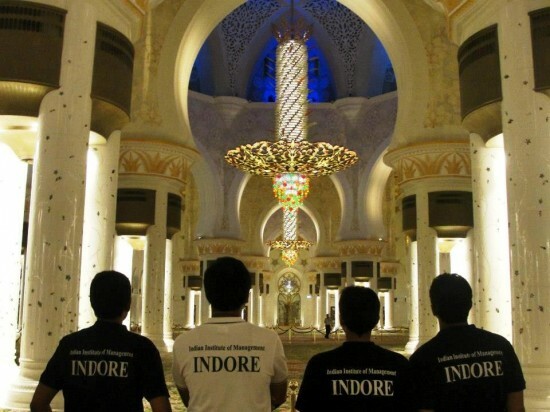 By positioning itself in a region with emerging commercial hubs like Dubai, Abu Dhabi and Doha, IIM Indore wants to cater to the fast rising demand of quality managers in the GCC countries. Other famous B-school brands like LBS, Hult and Cass have already made their presence felt in the region. Started in 2011, PGP at Ras Al Khaimah is a two year regular course along the same lines as PGP at IIM Indore, India. 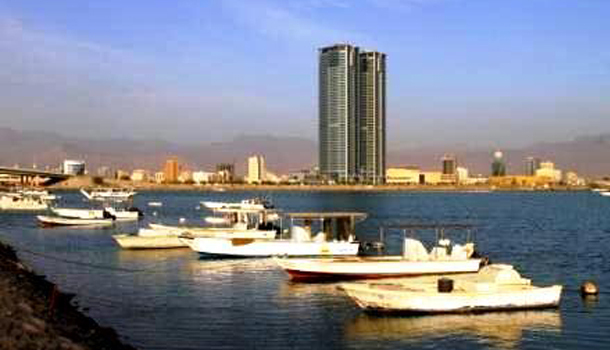 To make it locally suited, electives are offered in the 2nd year pertinent to the Gulf region. The students are taught by the visiting faculties from IIM A and IIM B apart from the core pedagogy of IIM Indore.In addition to the case based approach there is a heavy emphasis on simulation based learning to enhance the academic experience. IIM Indore has partnered with Higher College of Technology (under the govt. 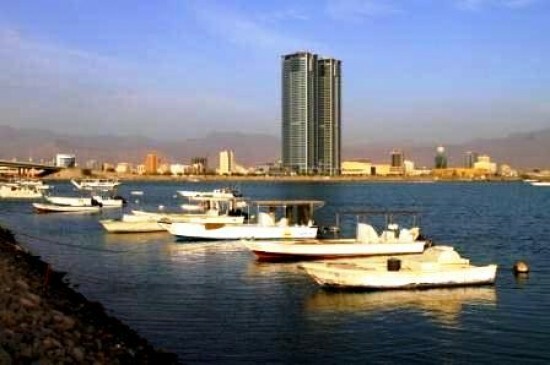 of UAE) for logistics and infrastructure support for the program. Classes are currently held in the state of the art classrooms at the HCT campus in RAK. 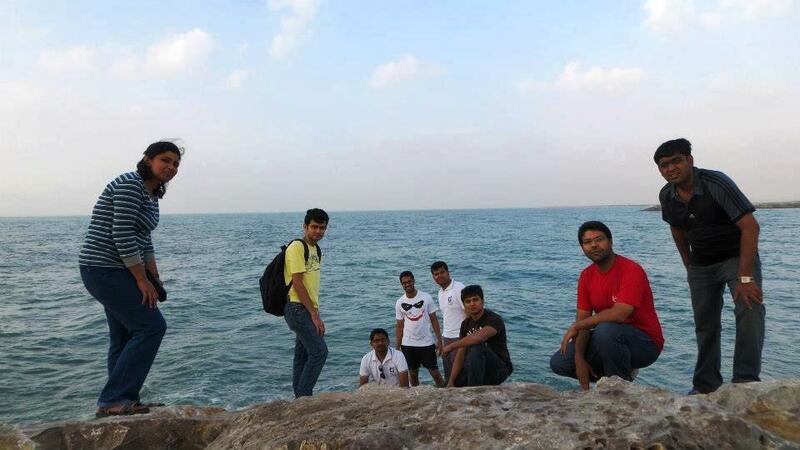 The first batch of 14 students arrived in UAE in late 2011 with all the inhibitions of going to a foreign land. But after spending more than a year in UAE they are in love with this place. In the words of Shaina, a 2nd year student: “Our perception of the strict Arab culture was instantly demolished and the place grew on us.” UAE has a great cosmopolitan culture. You may have breakfast alongside a Chinese, lunch with an American and dinner with a Nigerian. There is also immense respect for people who work here” says Aniket of 1st year. There is a plethora of opportunities to learn. The proximity of the institute to Dubai and RAK free trade zone provides many opportunities for students to interact with the industry through industrial visits and guest lectures by business leaders. 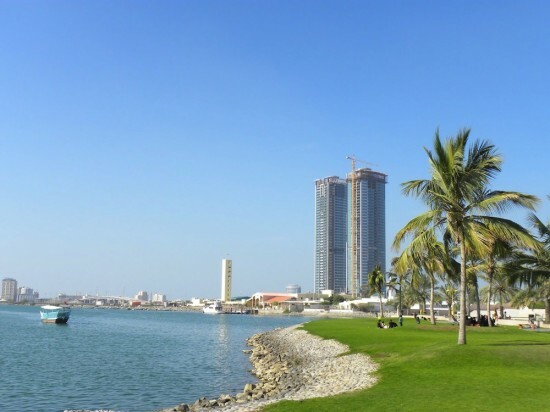 But what adds charm to this program is the abundance of outdoor experiences like the Desert Safari, Dubai Shopping and the barbeques at many of its beautiful beaches nearby. The first batch of 14 students had a great Summer Placement (2012) in companies like American Express, PepsiCo, Luminarc UAE,PWC, Vodafone, Central Bank of India, etc. Final placements for the batch of 2011-2013 are going on and a consolidated placement report will be out soon. Following on the success of the first batch, the program which is now in its second year has 40 students coming from diverse backgrounds and substantial work experience. With 25% of the batch coming from prestigious institutes like the IITs, NITs and DCE it is already attracting the best. Some of them have left established B-schools like IIM Rohtak, IIM Kashipur, MDI, IMT and XIMB to join this course. First-year student, Harish Raghupartini (B.Tech IIT Roorkee) preferred this course over new IIMs. “I interacted with the seniors and realized that if I wanted to do something new, this was the place to be. After all, world is fast becoming a small place and a global outlook would soon become an important requirement. And with 200 of the Fortune 500 companies within driving distance, there is no dearth of opportunities.” – says Harish. 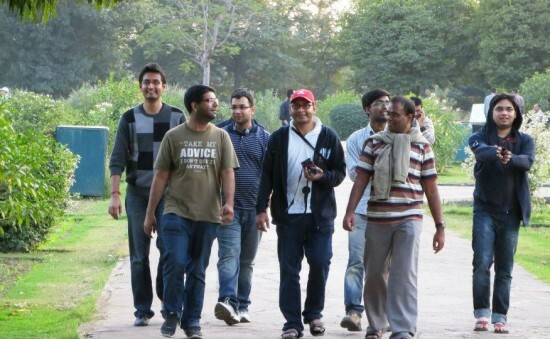 As part of the Curriculum 1st year Students have spent one trimester in the parent campus (IIM Indore India). During this period, students were also involved in a rural immersion program. “We experienced the nuances of self-sustainability, rural entrepreneurship and efficient agri-business in Chitrakoot village. The discussions with the ZillaPanchayat in Jhabua were a welcome revelation in understanding rural management.” says PrakharRathee, a 1st year student. Finally, there are the core committees of Media and Corporate relations, Placement, alumni relations and Student affairs to look after their respective domains. Very soon there will be a IIM Indore 'X' City campus in almost every city in the world. 20-30 years from now there will be broad two category of IIM's, IIM Indore or any other IIM. And why is that a bad thing? Shouldn't it be the aim of all IIM s to impart quality education to as many students as possible? Well thats the point. With quantity and the same no of faculty(Very few among which are good) I doubt how the quality continues to be the same. This comes from personal experience. There will always be two sides to any argument.. the important thing is, is it a good thing or a bad… if IIM Indore decides to spread it's wings and give opportunities to Indian students to find opportunities abroad, then why is it a bad thing? There are institutes like HULT, INSEAD etc which have set up campuses in UAE..I dont have much personal experiences to talk about quality but yes, this is a very bold move by IIM Indore. IIM I happens to break all the barriers, indeed….First we had the incident of students being expelled for taking drugs, then we had the hostel mess food poisoning incident, then not to mention the usual placement saga at IIM I and to top it all the current sexual harassment case…..Looks like IIM I has developed the knack of staying in the news for all the wrong reasons. And yes, quitting MDI to join here in some unknown MBA programme without knowing the future prospects, that too being a non ABCL initiative, sounds rather lame……We all know that SP Jain or IMT Dubai programme has not really worked that well. So what makes IIM I with all its history any different? What Placement saga are you talking about? BCG,Deutsche Bank, TAS, Bank of America Merrill Lynch, Goldman Sachs, Deloitte S&O, Flipkart, Amazon, HSBC, Edelweiss – the list goes on. Wait for the report before shooting your mouth. You can't blame the institute if some people don't deserve to be placed. Same applies to IIM L as well where the situation isn't as rosy as last year. IIM I placed 435+ successfully last year. And this year too people will get placed. Call up your folks at IIM K and check how they are doing! And so if an incident of food posioning happened a year back, how does that relate to the IIM I UAE programme? And are you telling me that people in your campus don't smoke up? Either you're a boring geek or you are not from IIM ABCL. Sexual harrasment case was reported exactly 2 months back at IIM Bangalore. So is IIM B a bad institute now? No one can help you if you are commenting here with an agenda to malign an institution. Weed is common in IIMs, but unfortunately because of some political reasons it has come out this time. Sexual harassment is an existing one at most of the colleges even at Harvard, but they never come out. Food poisoning even though a rare happening at IIMs, we can't say some unfortunate thing cant happen while making food for 900+ students. And the last and main thing- the placements. An IIM is not obliged to provide placements to its students. Its only duty is to train the students to be a qualified one. I am not comparing IIM with HBS, HBS has no on-campus placement process. If all the IIMs adopt the same thing as HBS, IIM I will be definitely par with top colleges of India. I can understand your argument though and not finding any mistake in it, because it is the current situation where a college is decided by its placements (It shouldn't be like this) has made you think like this. Read the below article and then you will get to know what Director thinks about the placement process..
Yeah true….I would like IIMI to completely do away with this placement process. Much better than the actual 20% placements (of decent quality) that happen there. Atleast people will come to IIMI with their expectations straight. Now 90% people get placed at IIMI, after 2 years the batch strength will be 900 and 50% will get placed. Another year down the line when IIMI IPM, Mumbai, Dubai, London, Newyork, Hongkong, Singapore and what not campuses come, we will have maybe 10-15% placements.